Mediterranea is an international journal focusing on various areas of knowledge transfer from Late Antiquity to the Early Modern period, covering the Middle East and the Mediterranean basin, and paying special attention to philological, philosophical, scientific, cultural and religious fields of research. If there is one thing that characterizes the powerful process of knowledge exchange between the Near East and the Latin West it is the passion for knowledge and the discovery of its secrets that inspired scholars of the period. This led to long journeys and rich encounters, and the mutual exchange between cultures that have repercussions up to the present day. 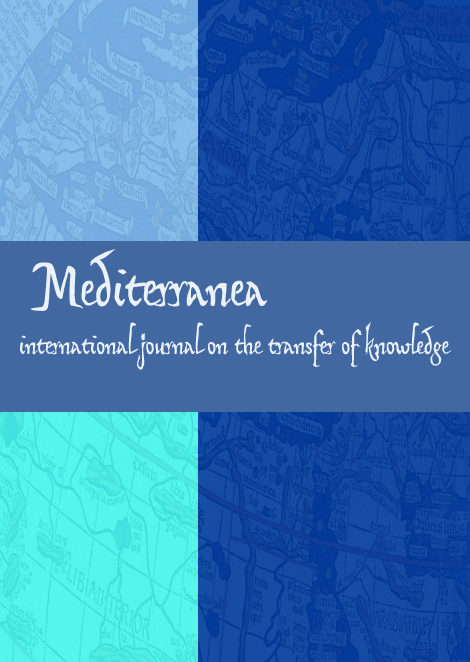 Mediterranea is a project focused on combining efforts, by linking highly qualified research institutions with expertise in the field of transfer of knowledge within the different areas of study that will be addressed in the journal. Call for Papers, Fifth Issue. Mediterranea publishes original papers relating to all aspects of the knowledge transfer from Late Antiquity to the Early Modern period. All submissions from Arts and Humanities, Cultural Heritage, Social Sciences and Experimental Sciences are welcome.